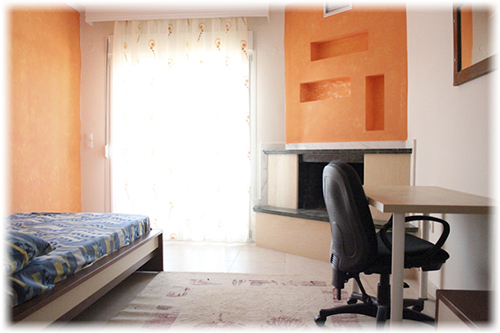 Roses Apartments are located in Nea Michaniona, Thermaikos of Thessaloniki, Greece. We offer summer accommodation between July to September. During the summer months you should combine your stay with a visit to the nearby beaches: Peraia, Neoi Epivates, Aghia Triada, Nea Michaniona and Epanomi. Here, you can find clear blue waters and facilities for water sports. There are every type of facilities, marines, courses and picturesque traditional taverns right next to the sea, as well as various open-air places for entertainment under the starry sky. Several of these beaches have been awarded blue flags of the European Union for their quality and cleanliness. For more information visit www.visitgreece.gr.